The Value of a 24-Hour Electrician in Trumbull, CT - New England Electrical Contracting, Inc. When do you need an electrician? Typically, it’s when things aren’t going well. Something has gone terribly wrong with your electrical system, and you need professional assistance. Unfortunately, your wiring doesn’t care about the convenience of its malfunction. Your electrical system is not on your timetable. This is why a 24-hour electrician in Trumbull, CT is essential. Expertise: When you contact a 24-hour electrician in Trumbull, CT, you can rest assured you are working with an expert professional. This technician has been trained in a full range of electrical repairs, maintenance and installations. They possess the expertise needed to respond to all types of calls at all hours of the day. They know how to handle your situation for optimal results. Flexibility: When is a good time for the power to go out? When is it convenient to deal with an overloaded circuit or smoking outlet? Never. Unfortunately, these events seem to happen at the worst times. It might be the middle of the night or during dinnertime. Wiring doesn’t keep bankers’ hours. Fortunately, your 24-hour electrician in Trumbull, CT doesn’t either. It doesn’t matter how inconvenient the timing of your electrical issue may be—the electrician is there to assist you. This flexibility makes their service invaluable. Reliability: Because they offer flexibility, a 24-hour electrician in Trumbull, CT is reliable. You can count on them to be there any time, day or night. You don’t have to worry whether or not they will show up or whether they will be available at an odd hour. When you experience an electrical issue, they will be there. Don’t hesitate to contact them with your electrical service needs. Efficiency: Your 24-hour electrician in Trumbull, CT provides fast, efficient service. They know the importance of restoring power quickly and making repairs as efficiently as possible. They work hard to get things up and running in no time. Their efficiency helps quickly restore safety and convenience to your surroundings. They make your repairs more convenient and affordable. Emergency response: At times, there is more than convenience and comfort on the line. Electrical emergencies occur 24/7. A 24-hour electrician in Trumbull, CT is equipped with the tools and knowledge to respond to electrical emergencies. Their emergency response can make a huge impact. From medical equipment, to emergency lighting, to other life-giving equipment, their intervention to restore power can save property and lives. Are you in need of 24-hour electrical services? Whether you are experiencing electrical issues today, or if you need services in the future, don’t hesitate to contact your 24-hour electrician in Trumbull, CT. 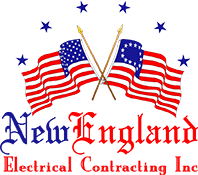 The team of expert technicians at New England Electrical Contracting, Inc. is ready to assist you. Reach out to our electricians any time, night or day, for help with a full range of electrical solutions. You’ll enjoy prompt service to restore your systems quickly and efficiently.